Katherine Pollard, Ph.D., is one of these scientists. Her team at the Gladstone Institutes is interested in better understanding how microbes colonize the gut. They want to identify the genes that help microbes pass through the stomach's harsh environment and survive in the lower gastrointestinal tract. The team used this approach to analyze public data from hundreds of individuals in industrialized countries. As a result, Bradley and Pollard found thousands of genes across different species that are prevalent in the gut. 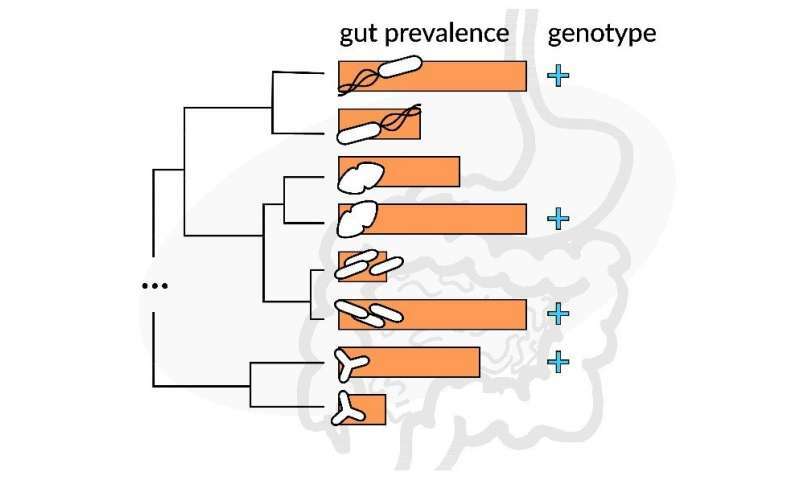 They also looked for—and found—genes in microbes that are actually more prevalent in the gut than in other parts of the body, suggesting that these genes may be specific to this environment. The researchers believe the genes they identified may help microbes colonize the gut, for example, by allowing microbes to survive in acidic environments, such as the stomach. Pollard and Bradley are now working to develop a web tool that will allow other academics—particularly wet lab biologists who might not have the required in-house expertise—to upload their own data and use this new computational technique to obtain helpful results.